The Open House will showcase recent developments for TMT, now in the construction phase on Mauna Kea, HI. Michael Bolte (UCSC) will present the latest news about the observatory, its instruments, and the TMT partnership. Mark Dickinson (NOAO) will discuss US community liaison activities underway as part of an NSF-TMT cooperative agreement to develop a model for possible US national partnership in the observatory. Results from a community survey carried out by the US TMT Science Working Group, and opportunities for astronomers to become involved in TMT, will also be discussed. There will be time for audience discussion. Complimentary (good) food and drink will be available – stay after the presentation to enjoy the refreshments and to have discussions with members of the US TMT Science Working Group and TMT staff. 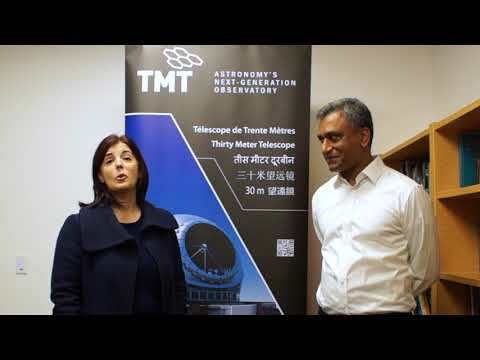 The TMT International Science Development Teams (ISDTs) are one way for astronomers to become involved in TMT science and planning. Applications for ISDT membership are due on 16 January 2015.